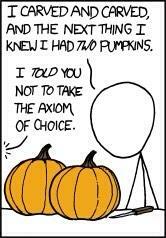 Join us on Thursday, October 22 for an undergraduate colloquium in applied mathematics! 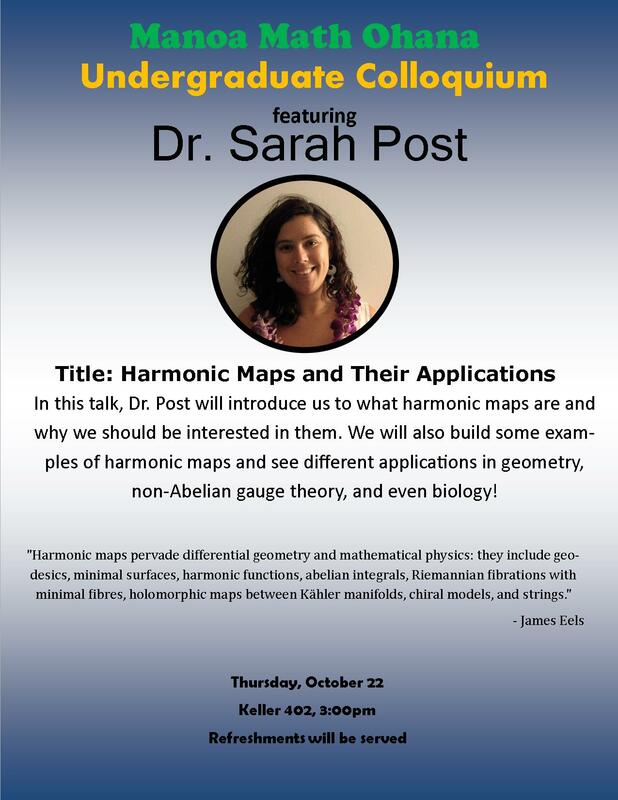 The speaker, our very own Dr. Sarah Post, will talk about what harmonic maps are and why we should be interested in them. We will also build some examples of harmonic maps and see different applications in geometry, non-Abelian gauge theory, and even biology! 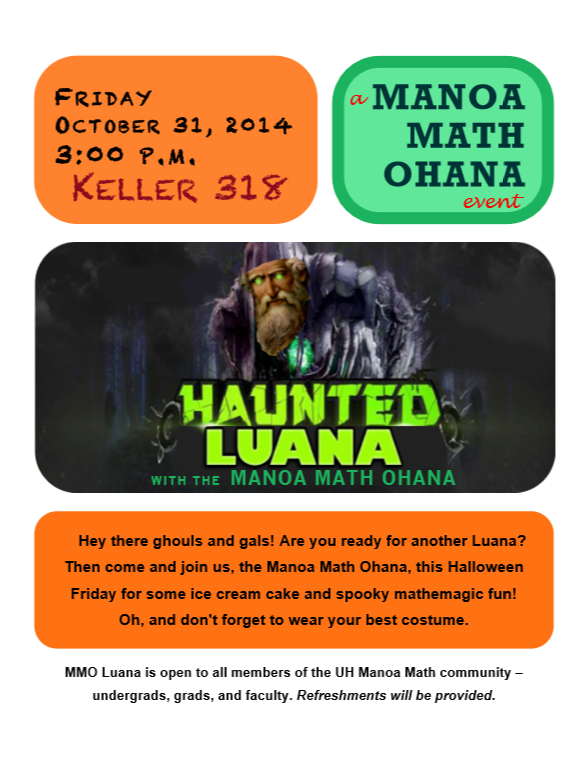 And of course, there will be snacks!! Happy Holidays! 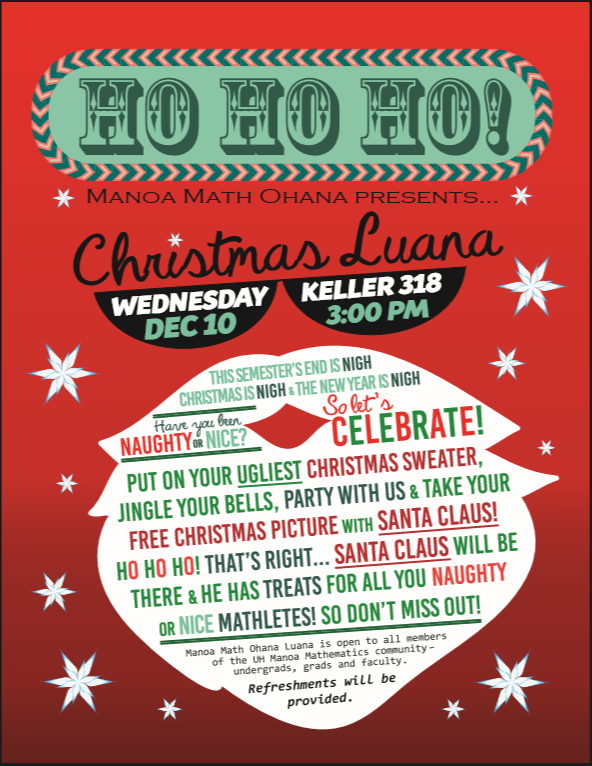 This semester’s end is nigh, Christmas is nigh, and the new year is nigh… so let’s celebrate! Put on your ugliest Christmas sweeter, jingle your bells, and take your free picture with Santa Clause. That’s right. Santa will be there. So don’t miss out! And of course, there will be snacks.